You may have seen us in shopping malls and other public locations, selling tickets for the Knights of Columbus charities raffle. You know the scene: one or two people at a table greeting you as you approach, offering a $2 ticket or 3 for $5, filling in your contact information, wishing you luck and thanking you for your purchase. 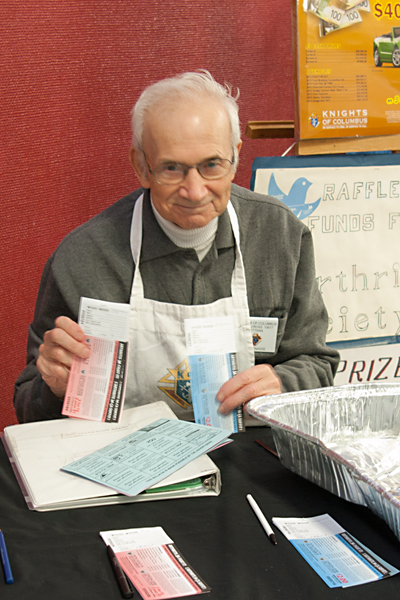 What you may not know is how much work goes into administering the raffle and how much good the proceeds accomplish. At the local level, our work begins in late October when the tickets arrive. 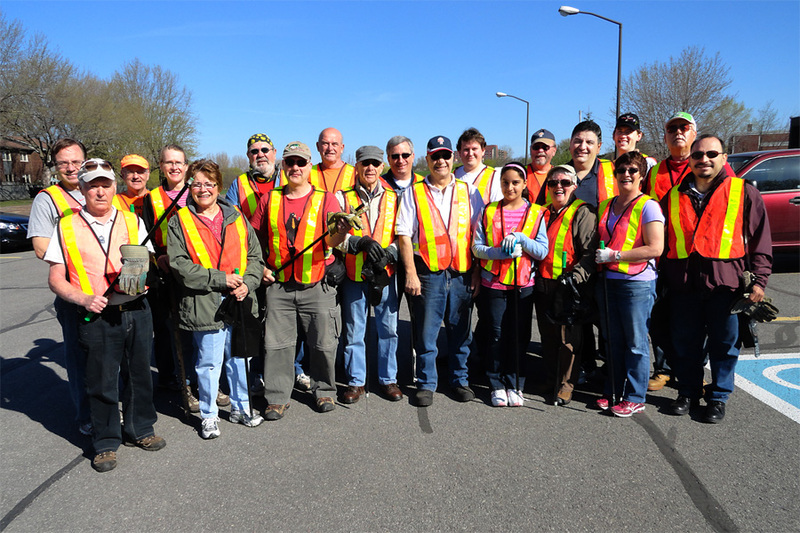 From then until late April, we have crews of volunteers scheduled in 3-hour or 4-hour shifts, offering tickets to the public. 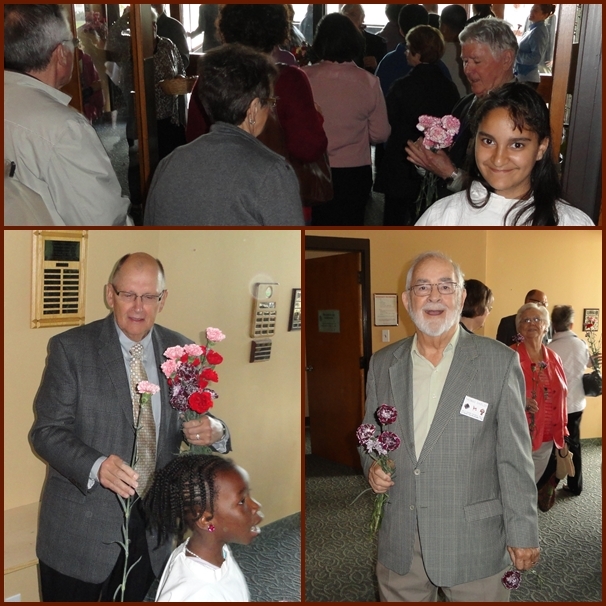 Other volunteers account for the tickets and the money, reviewing each day’s sales and submitting the proceeds to our council’s financial secretary and treasurer. 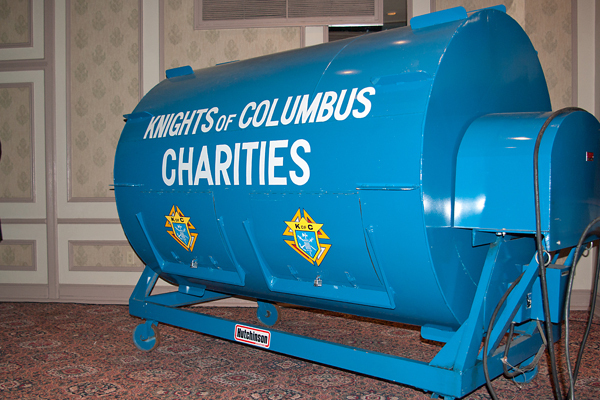 The final accounting is carried out in mid-May and the tickets are turned in at the Knights of Columbus annual convention the day before the draw takes place. 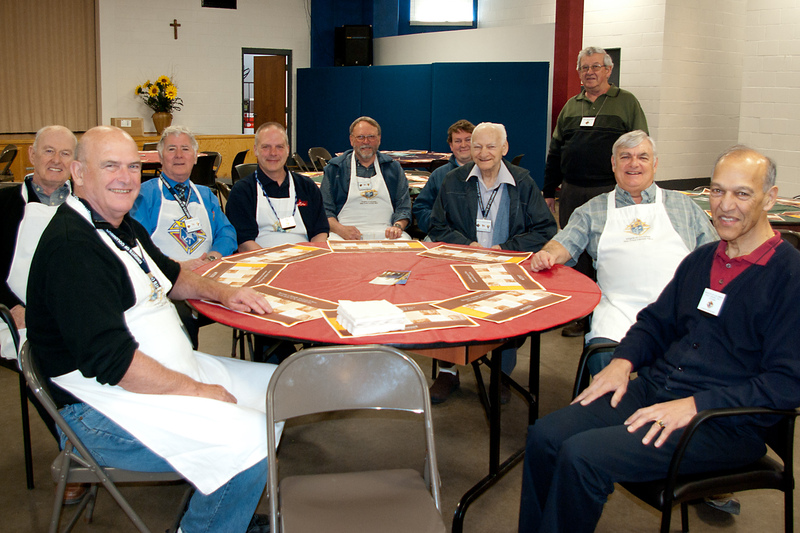 This year, the draw was held on May 19; the list of winners is published on the Ontario Knights of Columbus website. At the annual convention, representatives of some of the charities we sponsor speak to the delegates about the impact of our charitable giving. Margaret Wills of the Arthritis Society reported that with the money we provided last year, the Society launched a chronic pain management program for children; they also supplied children with ergonomically-designed backpacks filled with information and tools for those recently diagnosed with arthritis. Taylor Redmond, a young athlete from Guelph, spoke eloquently about what Special Olympics has meant to him. A competitor in basketball, track and swimming, Taylor believes he can do anything the rest of us can do but he knows that he needs help and patience. He thanked the Knights in Guelph for helping him along his entire athletic career. There weren’t many dry eyes in the room when he finished speaking. Our volunteers are taking a break over the summer. We’ll be back in the fall, looking to raise much-needed money for charities that make a difference in our community. When you see one of us, drop by to say hello and, if you can, pick up a few tickets. Your smiles keeps the volunteers coming back and your dollars help in many ways across the province.